Few things enhance your appearance like a gleaming white smile. As your smile is often considered your best accessory, we’d like to help you brighten yours. While there are numerous over-the-counter whitening options on the market today, your dentist is always your best resource when it comes to professional teeth whitening. Your dentist can determine if your mouth is healthy before whitening. It’s always advisable to ensure that your teeth are healthy before whitening. One of the benefits of seeing your dentist first is they can evaluate your mouth and take care of any issues before starting whitening treatment. Your dentist understands the pros and cons of various whitening options. Given the dizzying array of whitening options vying for consumer dollars, it’s not always easy to determine which ones are best. Our experienced dentists can review the benefits of the various options so you can make an informed decision. We offer fantastic deals to enhance your smile and save you money! With our $550 Zoom In-chair Teeth Whitening Special, you have something extra to smile about. Through the rest of the year, you can get an extra $50 off the service. Philips Zoom is offering $50 cash back by redemption through December 31, 2017. You can enhance your appearance over your lunch break. Our in-chair whitening treatment only takes about 90 minutes so you can have it done during an extended lunch break. 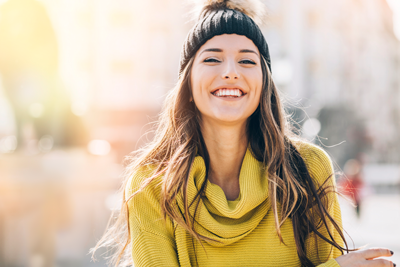 As we’re conveniently located in Brisbane CBD near King George Square and the Queen Street Mall, you can easily fit whitening into your schedule. Though it won’t take long to whiten your teeth, the results can last for two years. The option of whitening at home is available to you. We also provide an at-home whitening option. These professionally fitted trays allow you to safely and effectively whiten your teeth in two weeks. You only need to wear the trays for 90 minutes a day to get fabulous results. If you’re ready to whiten your smile, contact us today!